Child Care Salt Lake City - Young Toddler Program | Child Time Inc. 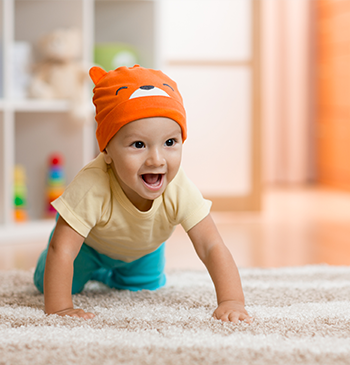 Always on the move, learning things at an enormously rapid pace, you can hardly believe that your toddler could once be held in your hands. This extraordinary time of growth and development is a crucial part of your child’s life — and you want to ensure they are guided and supported in the best manner possible. The Young Toddler Program from Child Time Inc. is available at The Cottonwood Preschool, and is an excellent daycare option for your family. With the Hummingbird Class, curriculum and the structure of the day are designed to help your toddler thrive. See some of the things you can expect from our preschool and daycare center! With various centers set up around our Hummingbird Classroom, your child can explore and approach education and knowledge in an explorative way. We work on guiding your young toddler into making positive choices and decisions, as well as supporting early critical thinking skills. 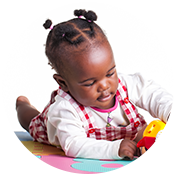 Our teachers are trained and skilled in working with your young toddler as they begin to grow and develop. The care and development of your child is our first priority. Meeting Milestones at Child Time Inc. In order to help your child continue to grow and develop in the best manner possible, you should enroll them in a daycare center that provides only the best. The Young Toddler Program at Child Time Inc. is the perfect place for them to receive the encouragement and support they need. Call us today, or fill out our contact form to get started!